Built to the specs of the National Crokinole Association Tournament Boards. 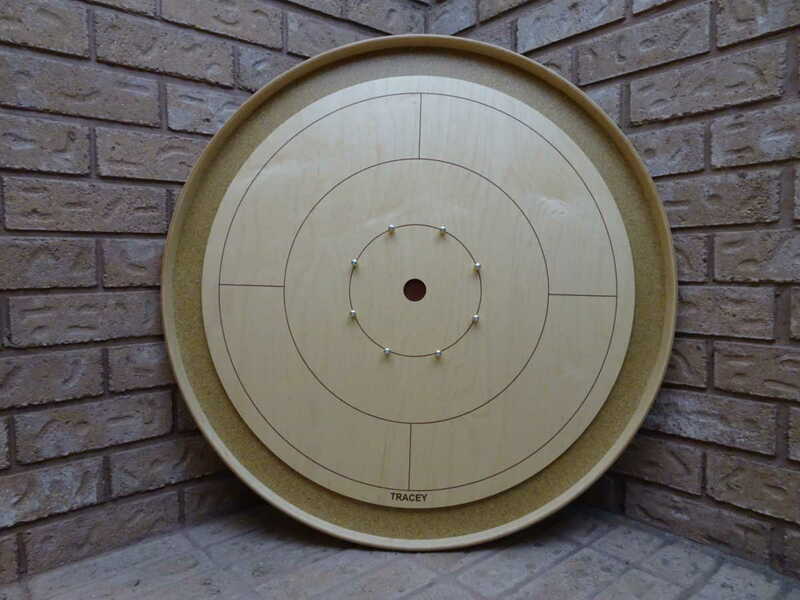 The Tracey ‘Standard’ board is a must for any serious crokinole player and family game player alike. The Canadian maple playing surface is 26 inches in diameter and is as smooth as glass. This board is a pleasure to look at as well with either the sharp red or black gutter and centre hole, crisp black silk screened lines and brass pegs covered with black sleeves. Your table will be protected due to the perfectly spaced rubber feet on the underside that also provide stability. If you need to order extra please check out our Crokinole Accessories Page.